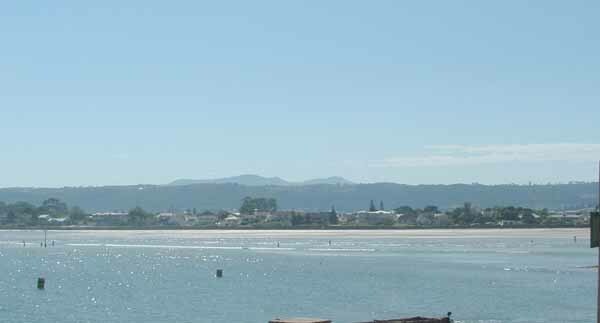 The history of the Knysna lagoon is very interesting. First discovered in the early 1500's by the Portuguese explorers seeking the sea route to India they named the area around the lagoon the Outeniquas. From out at sea the Portuguese noticed large colums of smoke emanating from the forests that could be seen around the lagoon. On further inspection they discovered that the fires were caused by the local Khoi people who started them to smoke out bees so that they could harvest honey in the hives found in the trees. Seeing men laden with honey coming out of the forests they named the place, “The Outeniquas”. It was only after the arrival of the Dutch in 1652 that Europeans actually started exploring the hinterland of the Cape and it took until the 1760's for the explorers to reach Knysna. 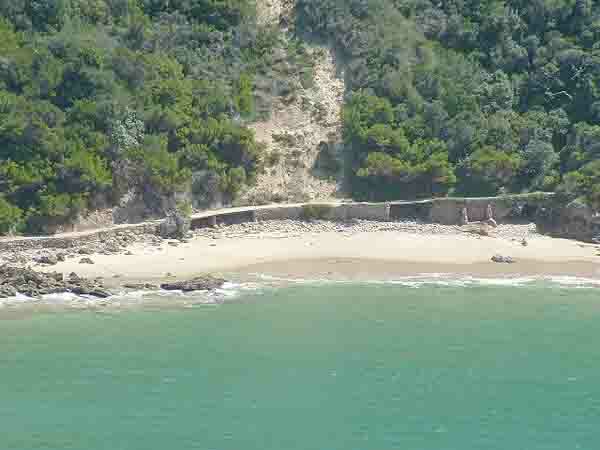 The first permanent settlement in the area occurred in 1770 when the loan farm Melkhoutkraal, which surrounded large parts of the lagoon was allocated to a local farmer by the authorities in the Cape. Eight years later Governor Joachim van Plettenberg visited the area on a journey of discovery and seeing the extent of the Knysna forests became interested in obtaining supplies of wood for the Cape Colony. The Cape had a shortage of wood as most of the indigenous trees had been cut down and used for housing and ship building by the Dutch colonists. When George Rex a timber merchant from Cape Town arrived in the area in 1804 he found that transporting timber by oxwagon was an almost impossible task. He then suggested to the authorities that it might be an idea to transport the timber by sea and commissioned his friend George Callender, to investigate the possibility of shipping timber from Outeniqualand by sea using the Knysna lagoon. As his farm Melkhoutkraal bordered on the lagoon he provided the land for the jetties to be built. Up to this point in the history of the lagoon no large ships had attempted to enter the Knysna lagoon through the two sandstone heads that guarded its entrance so no one knew whether it would be possible to export timber by sea. The first ship to attempt entry was the 188-ton Royal Navy brig “Emu” which did so on the 11th February 1817. The attempt was unsuccessful as she ran aground on a submerged rock and had to be beached on a sandbank just inside the mouth of the lagoon. A few months later in May of 1817, the “ Podargus” was sent to rescue the crew and salvage the cargo of the Emu It became the first ship to successfully enter the lagoon paving the way for the advancement of the timber industry in the area. As a result the timber industry flourished. Then in April 1870 the Thesen family arrived in the area and they were to have a large impact. They started a timber and shipbuilding business and shortly afterwards followed this up with a transport business where goods and passengers were transported between Durban, Knysna and Cape Town using steamships owned by the Thesen Steamship Company. In October 1903 another significant incident in the history of the lagoon occurred. The Paquita, a German three masted iron barque weighing 484 tons entered the lagoon and offloaded its cargo of coal at Thesen and Company's jetty. From there she sailed across the lagoon to Featherbed Bay where she loaded a ballast of sand before she was to set sail for Barbados. 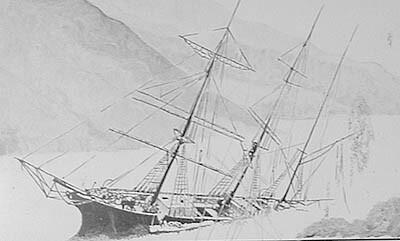 While there a strong wind came up causing her anchor ropes to foul and the ship to drift across the lagoon where she ran aground on what is today known as Leisure Isle. After offloading the sand ballast the crew were able to refloat the barque. On the 18th October while sailing near the mouth of the lagoon the unlucky ship once again had her anchor ropes fouled and this time she ran aground on Beacon Rocks a rocky promontary near the front of the present day restaurant. There she lay with her bow sticking out of the water until 18 months after the wrecking she finally disappeared beneath the waves. The sinking of the Paquita raised a number of questions as it was strange that her anchor ropes had fouled on two occasions. The fact that most of her crew had been paid off in Knysna before the first fouling of the anchors was questioned. When after the second running aground of the ship it was discovered that her anchor ropes were intact the suspicion of foul play arose which eventaully resulted in an insurance claim being dismissed by the insurers. All that remains of the ship today is part of its hull and this has become an important and easily accessible dive site near the mouth of the lagoon. The channel through the Knysna Heads looks very placid when viewed from the heads and no one would think that the entrance is one of the most dangerous to a port anywhere in the world. Unfortunately for the Knysna harbour, after the building of a railway line from George to Knysna in 1928 its business began to dwindle until finally in 1954 it was decommissioned and became a small boat harbour which it still is today. 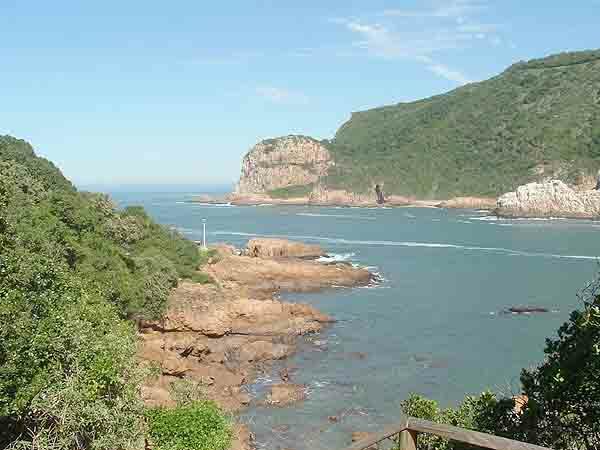 Knysna and the beautiful lagoon are one of the jewels found along the South African coastline. The town is a fantastic holiday playground and a must visit destination on any visit to South Africa.